Arthritis and joint pain is caused when your cartilage cells break apart, clog up the synovial fluid and bring on an inflammatory reaction. There are a number of factors that can cause or contribute to the pain, including age, genetics and a poor diet. 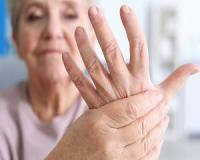 The good news is, no matter what you've been told, arthritis is far from inevitable - no matter your age. There is a lot you can do to reduce the inflammation and even repair your joints. being heavily promoted, so niacinamide treatment was hardly noticed. But even though it never made much of a stir, niacinamide treatment works very well. Try 1,000mg of niacinamide three times a day (it doesn’t work as well if you only take it once or twice daily). You’ll likely start feeling results in three to four weeks. diabetes and are concerned about glucosamine’s effects on blood sugar, niacinamide is a good companion for it. Niacinamide also has many benefits for blood sugar problems, and using it with glucosamine is even more likely to relieve your osteoarthritis symptoms. Willow bark is actually the all-natural forerunner to aspirin. It’s been proven to relieve pain equally as well as prescription pain medications. In a study published in the journal Rheumatology, researchers tested two groups of 114 participants each, treating one group with two to four 240-milligram doses of salicin (one of the main pain-relieving ingredients in willow bark extract) per day and the other with the same number of 12.5-milligram doses of rofecoxib (the generic name of Vioxx). After four weeks there was no difference between the results for the two products in terms of pain, requirement for additional analgesics, or side effects. Don't just accept your painful knees, wrists or shoulders, use these two natural supplements to relieve the pain without side-effects.